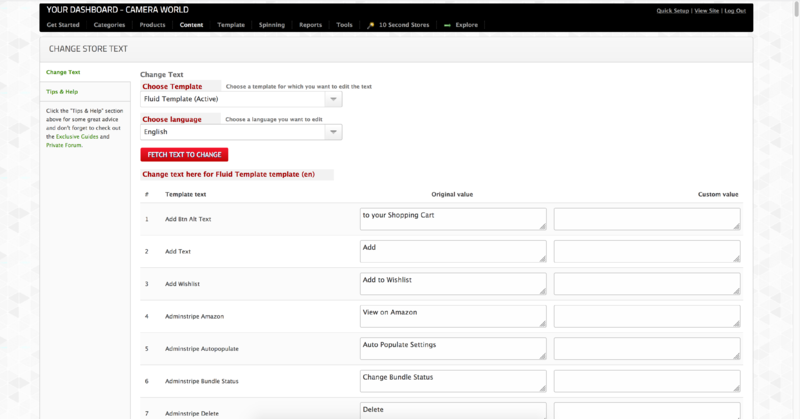 In version 8 we added a major upgrade to the template feature. 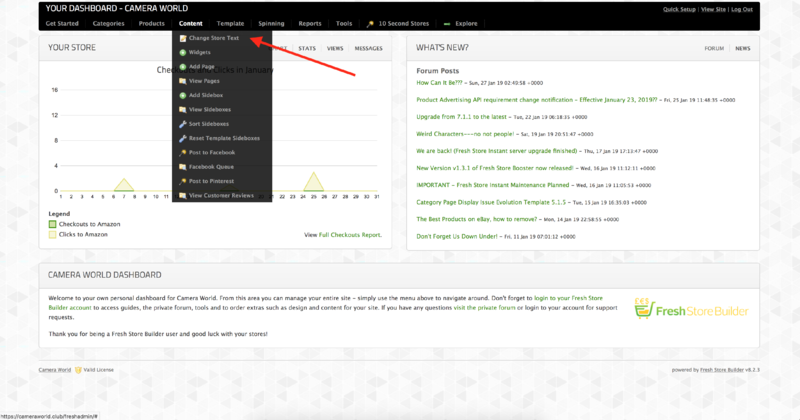 You can now change the template text directly from your freshadmin control panel. This will give you the chance to SEO optimize your website even more to make it unique. This feature also works great for customers running different language stores. Now you can easily set your own translations and edit it to best fit your niche. 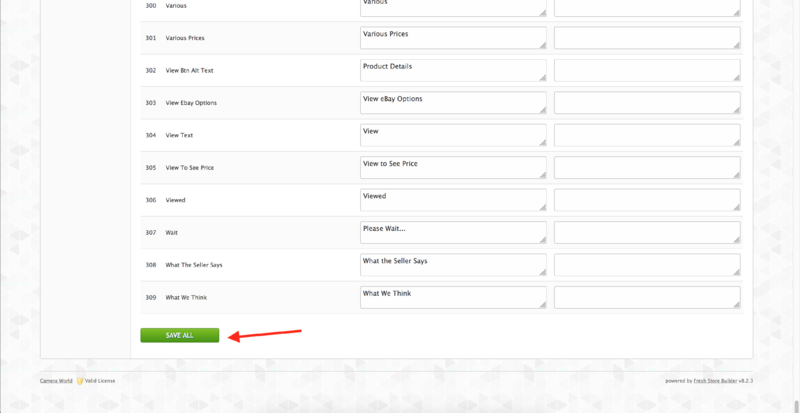 Remember your store must be on V8 or above, or you won't see this feature in your store. To get started editing the text, click on Content and then "Change Store Text"
On the next page, you will see the section where you can edit the text for any theme or language translations. By default it will show the current theme that is Active. You need to make sure to select Theme and Language you want to edit and then click Fetch. Once you are done editing the text, scroll to the bottom and click SAVE. That is all you need to do to translate or edit any of the text for your current theme. Please remember you will need to delete your Store Cache from Tools - Delete Chance if you are not seeing your text changes. If you are still not seeing the changes after that, please run the Template Refresh Feature. You can view the guide on that here.